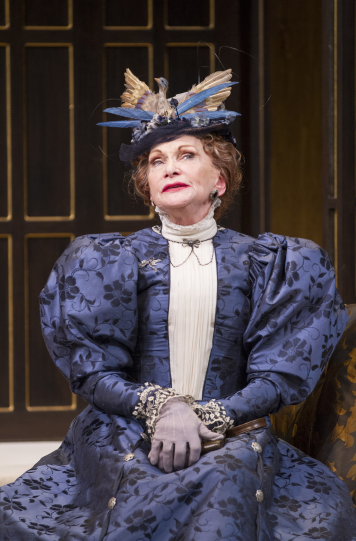 Siân Phillips as Lady Bracknell in the Shakespeare Theatre Company’s production of The Importance of Being Earnest, directed by Keith Baxter. Photo by Scott Suchman. 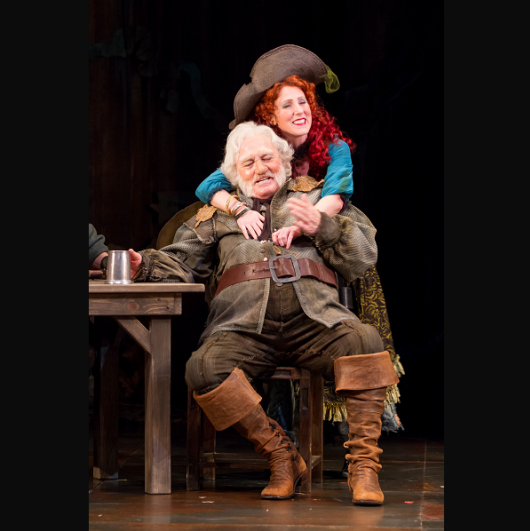 It is always satisfying to while away the hours at the theater, but it is most especially pleasurable to let playwright and poet Oscar Wilde remind us of the imbroglios of the Upper Class in Victorian England. In this delightful piece of froth we are allowed a glimpse behind the looking glass of London society. 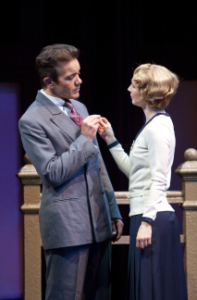 Algernon Moncrieff is a terminably bored dandy with a grand sense of getting up to no good. His avatar is a naughty character he calls “Bunbury”. Algy’s equally ne’er-do-well friend Jack Worthing, trumps himself up as “Earnest”, a man caring for a beautiful young ward, Cecily, whose care has been entrusted to him by a relative. 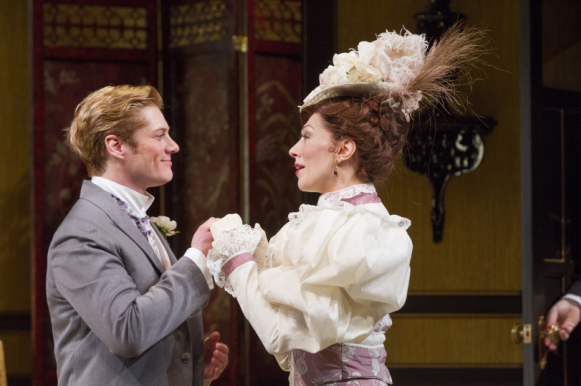 Gregory Wooddell as Jack and Vanessa Morosco as Gwendolen in The Importance of Being Earnest, directed by Keith Baxter. Photo by Scott Suchman. The merriment begins when Algy’s aunt, Lady Bracknell and her niece Gwendolyn Fairfax arrive at his fashionable West End home for a visit. 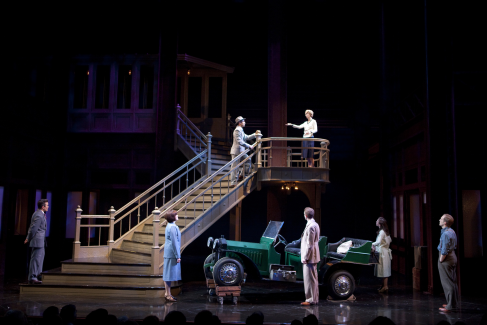 When Jack declares his intention to marry Gwendolyn, who prefers the name Earnest, “It produces vibrations,” she admits, the frolic begins. Lady Bracknell, who delivers all of her high-minded remarks as pronouncements, feels it is her duty to grill him on his social standing. Discovering that he was a foundling discovered ignobly in a railroad station, she gives him short shrift, despite his fortune. 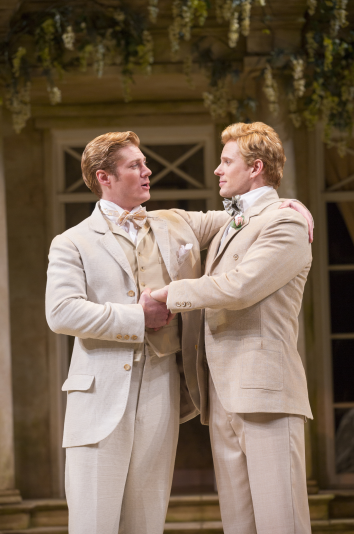 When Algy races off behind his friend’s back to woo Cecily, he portrays himself as Earnest too. Cecily assures him that she too could only marry a man named Earnest to which he replies, “What if my name were Algernon? It’s a very aristocratic name. Half the chaps that get into bankruptcy courts are named Algernon!” Yet both she and Gwendolyn remain firm in their convoluted determination. 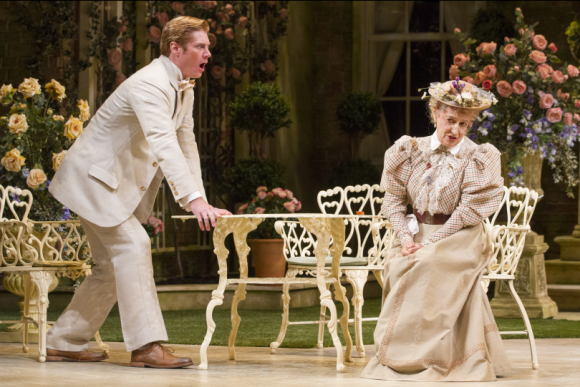 Gregory Wooddell as Jack and Patricia Conolly as Miss Prism in The Importance of Being Earnest, directed by Keith Baxter. Photo by Scott Suchman. The how, when, and wherefore of the gentlemen’s love lives may be what turns the plot. 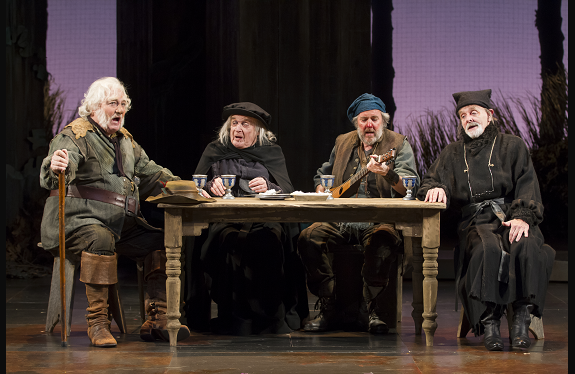 But it’s the steady repartee, quaint in its moralistic rhetoric and added to the hilarious misunderstandings, that renders the play irresistible. Forgetfulness is referred to as “mental abstraction” and arguments are considered “vulgar and often convincing”. It’s a topsy-turvy Wodehouseian world. Sian Phillips, a veteran of the BBC’s “I, Claudius” series, imbues Lady Bracknell with the steely demeanor of a true Victorian matriarch; Anthony Roach crafts a delightfully whimsical Algernon; Gregory Wooddell plays Worthing effortlessly and Patricia Conolly, as Cecily’s governess, the self-righteous Miss Prism, creates the perfect foil for the rest of the cast. 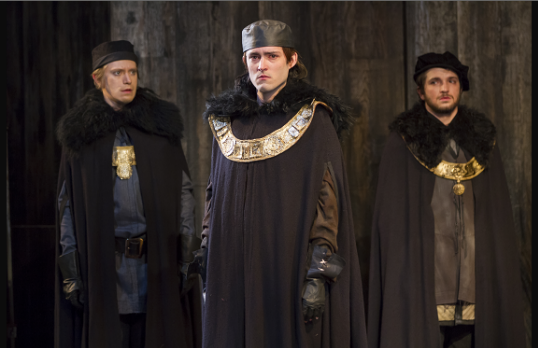 Though March 9th at the Lansburgh Theatre, 450 7th Street NW, Washington, DC 20003. 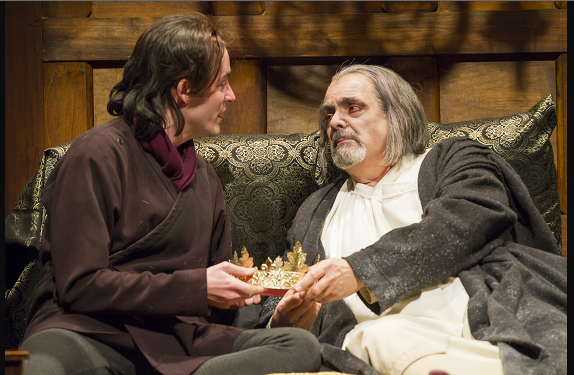 For tickets and information contact the Box Office at 202 547-1122 or visit www.shakespearetheatre.org. 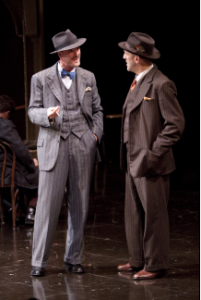 Gregory Wooddell as Jack and Anthony Roach as Algernon in The Importance of Being Earnest, directed by Keith Baxter. Photo by Scott Suchman.